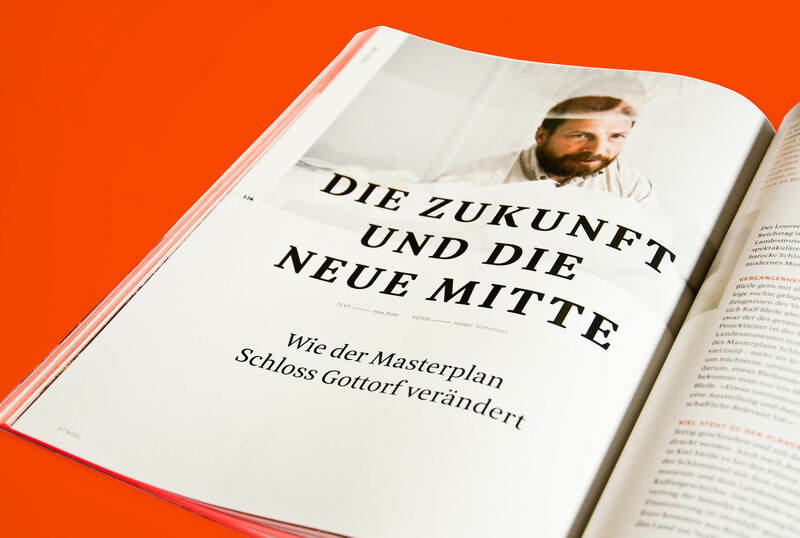 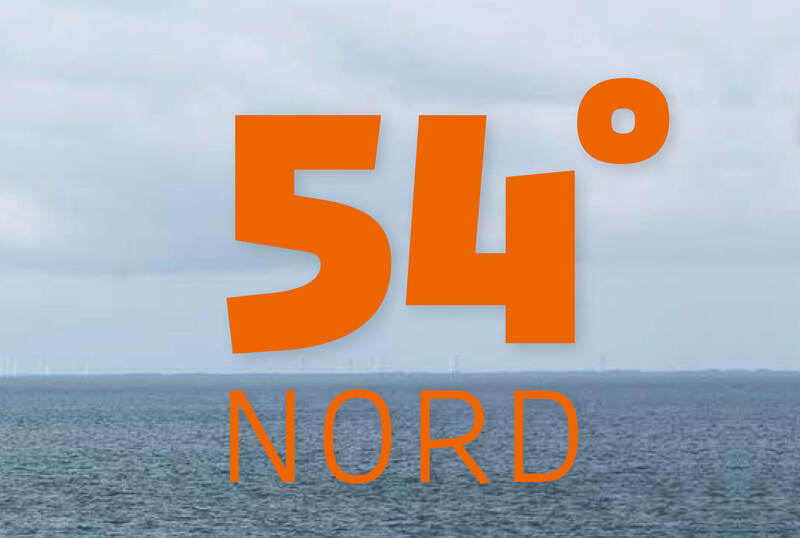 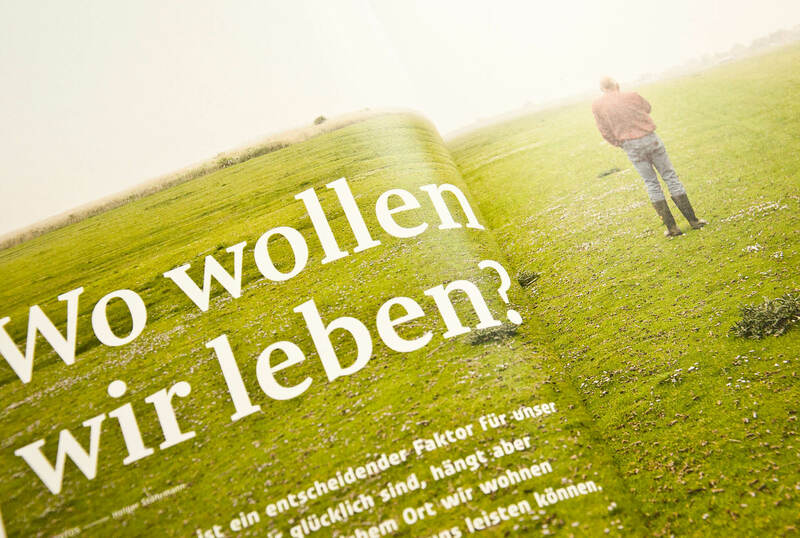 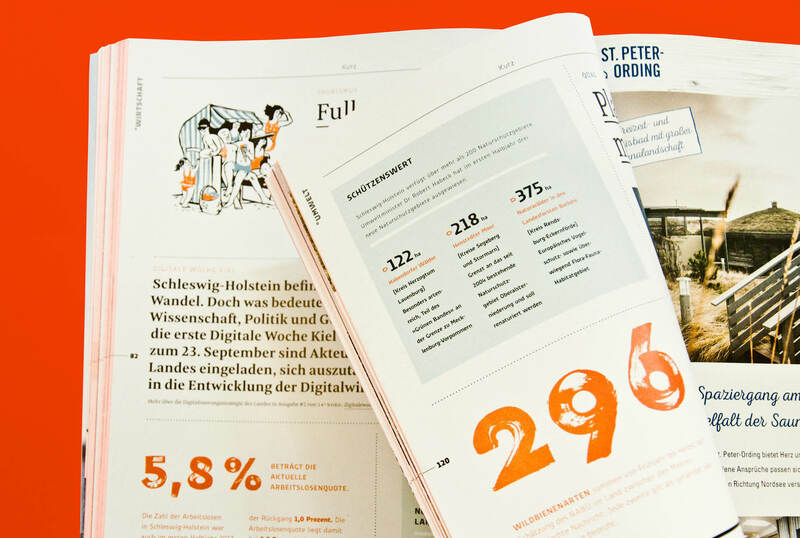 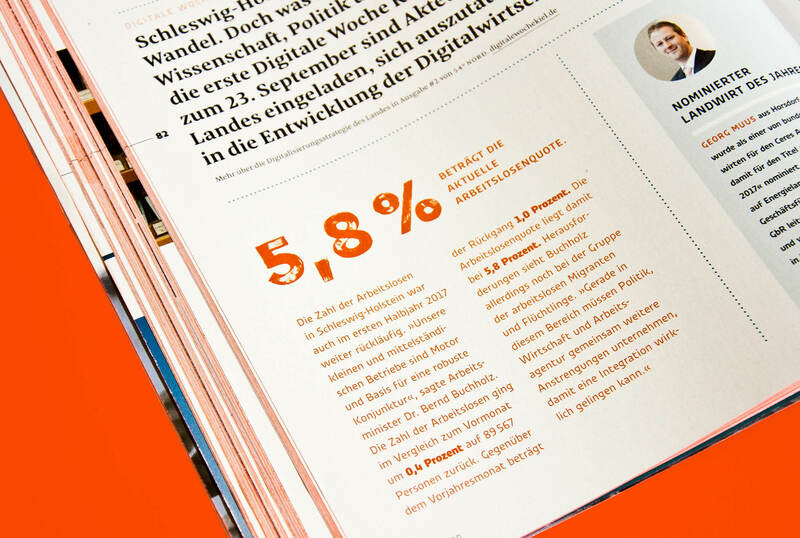 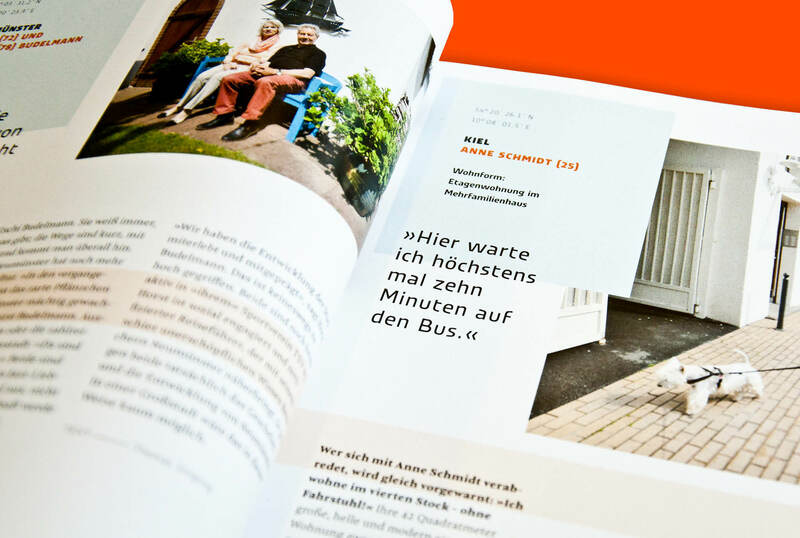 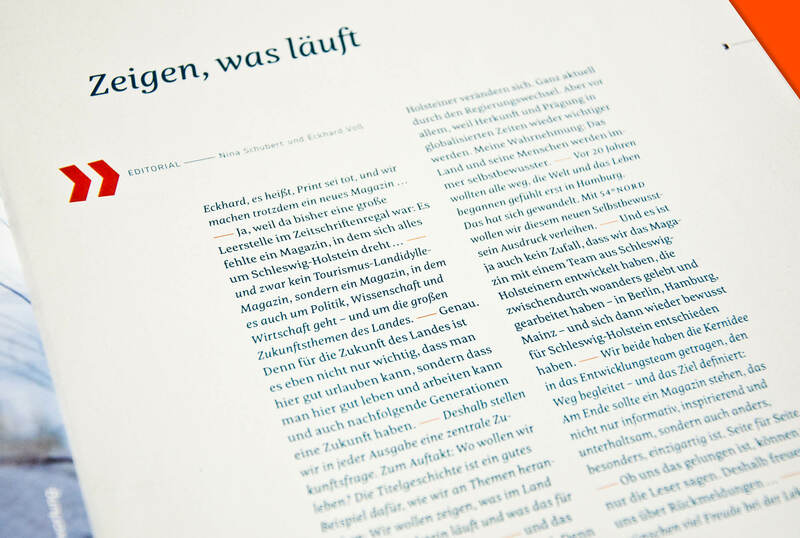 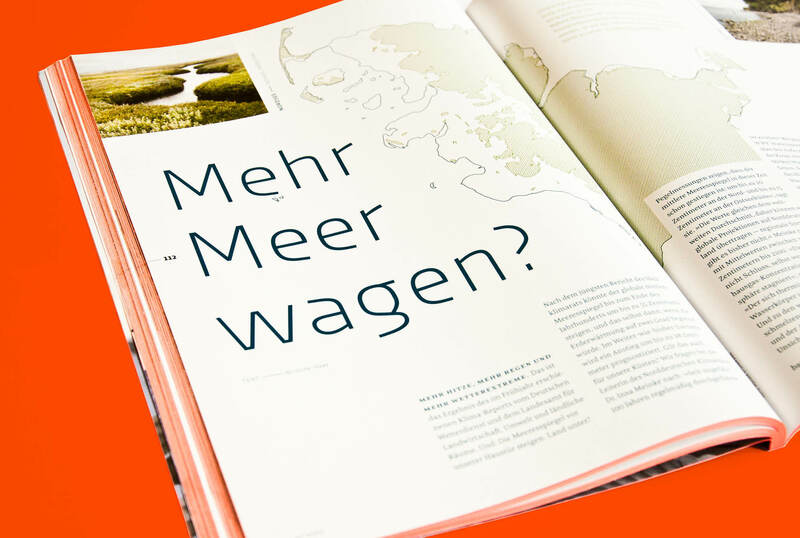 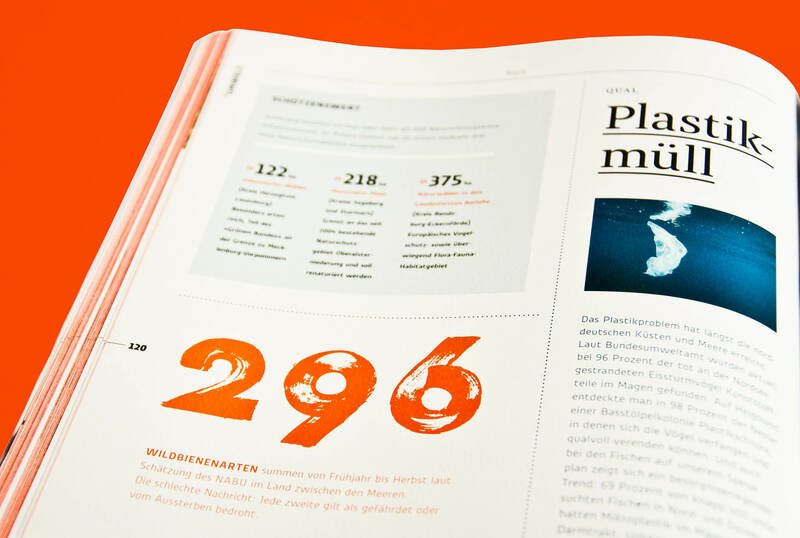 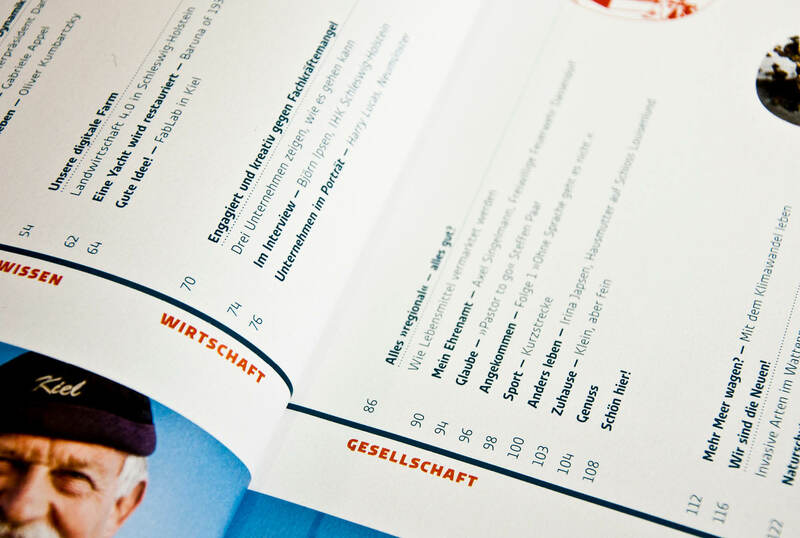 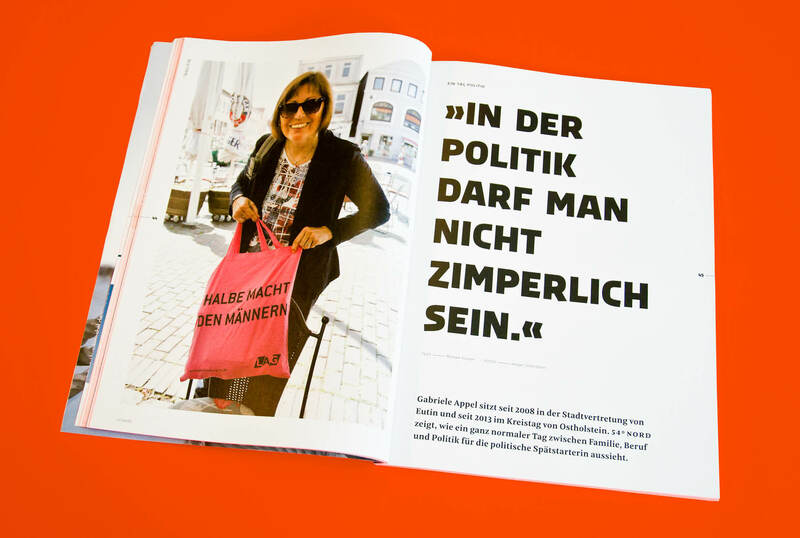 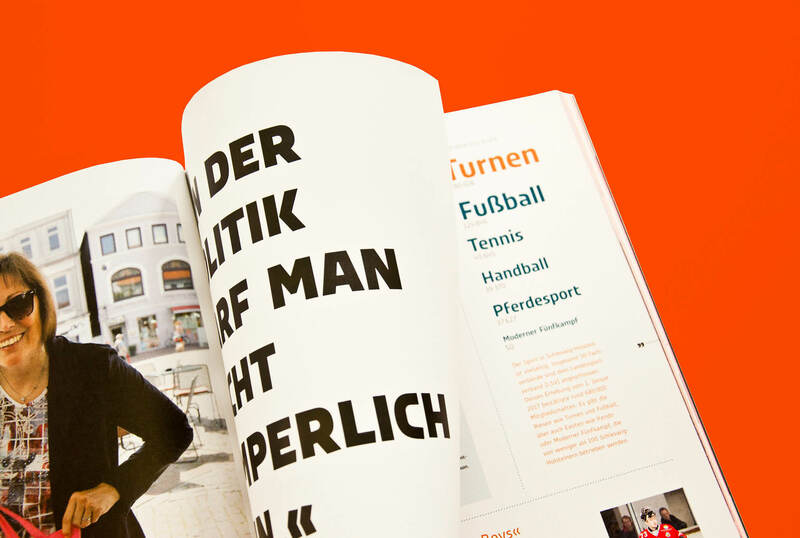 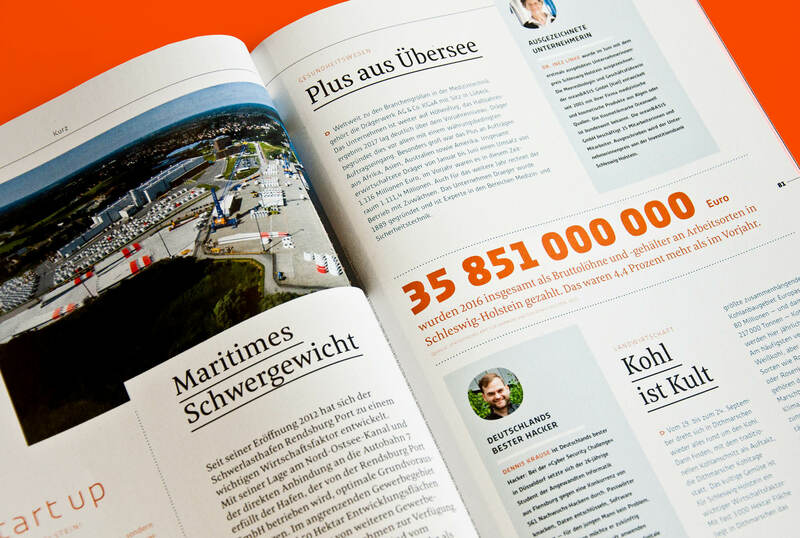 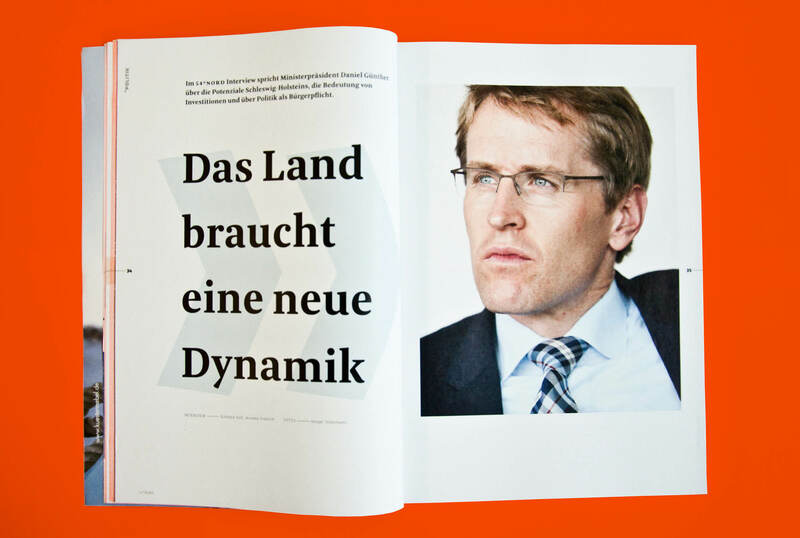 54° Nord is a quarterly magazine that focuses on the most northern German state, Schleswig-Holstein. 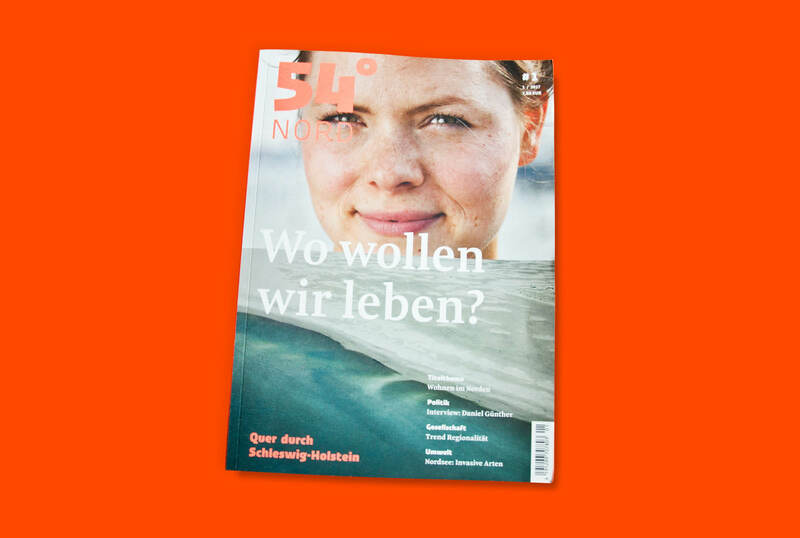 With a fine editorial design by Holger Stöhrmann, Cornelia Fränz and Florian Riedel, the social interest journal shares stories, reports and interviews truely made and located in the north. 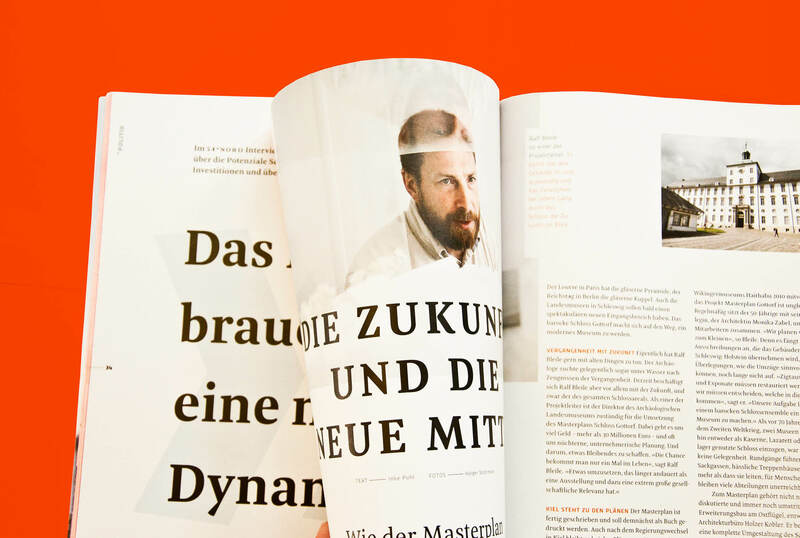 Its publisher, authors, photographers, illustrators and printer mostly from the area, the social interest journal shares stories, reports and interviews truly made and located in the north. 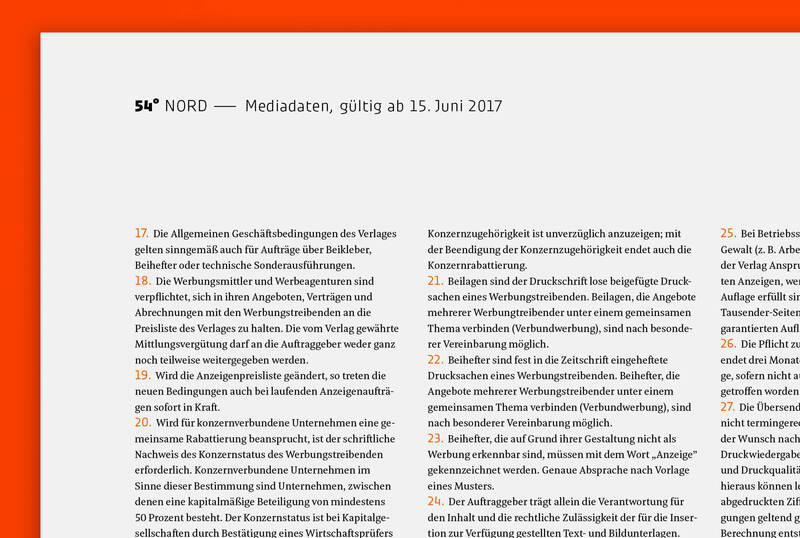 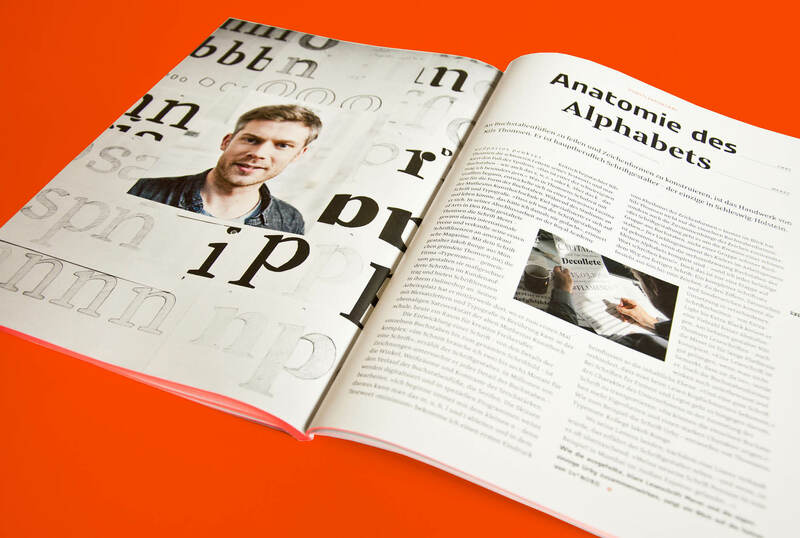 For North German soul Nils Thomsen, it was a pleasure to have his serif typeface Meret Pro put to use in 54º Nord’s text and headlines. 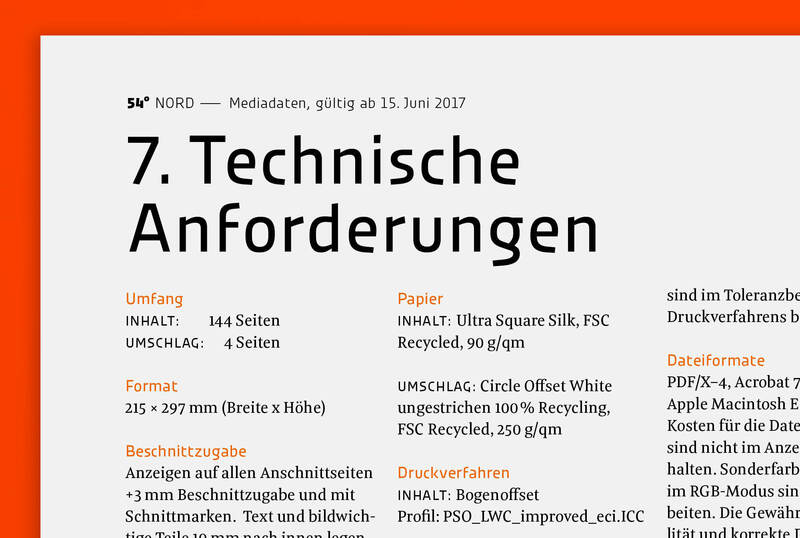 Meret, a robust and economical newspaper typeface, was originally published by OurType, but has recently migrated to the TypeMates library. 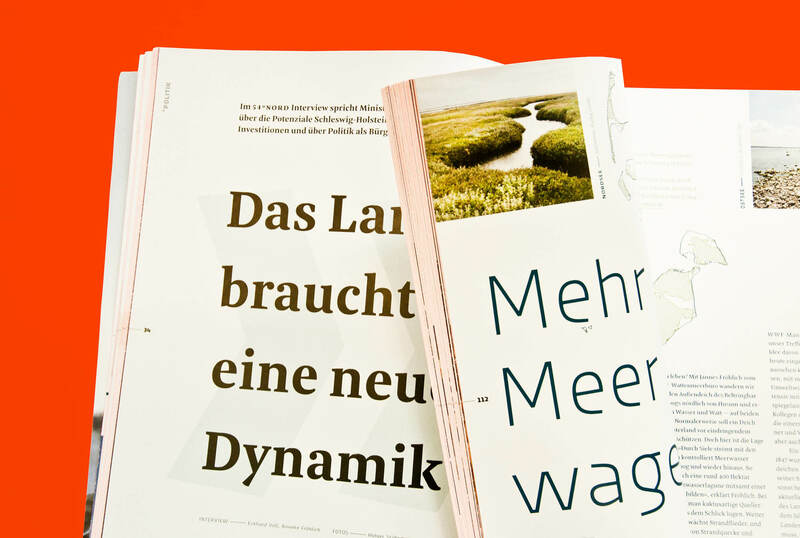 Complementing Meret for short and large display uses, Jakob’s Urby brings its sharp edge and striking character to evoke the gruff, direct and hardy image of North Germans. 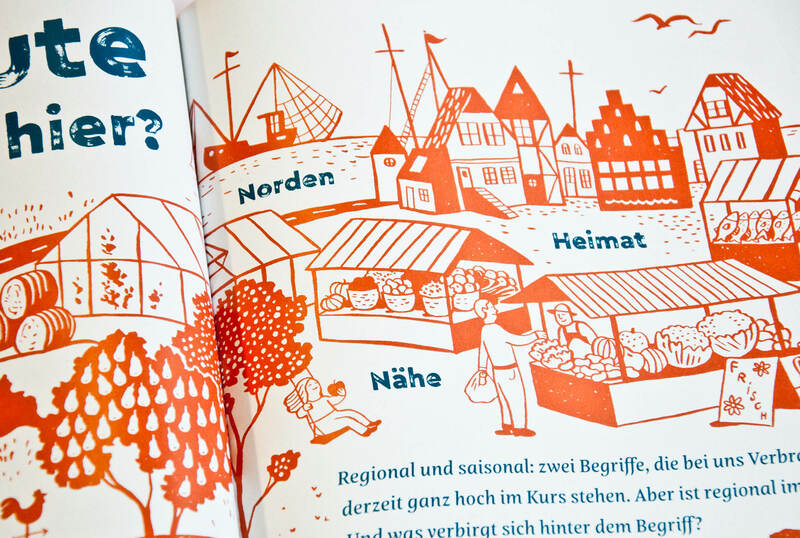 When it comes to type in combination with illustration —in the current issue by talented Eva Hartman— or quite large figures, Cera Brush Black joins the typographic kit of 54° Nord. 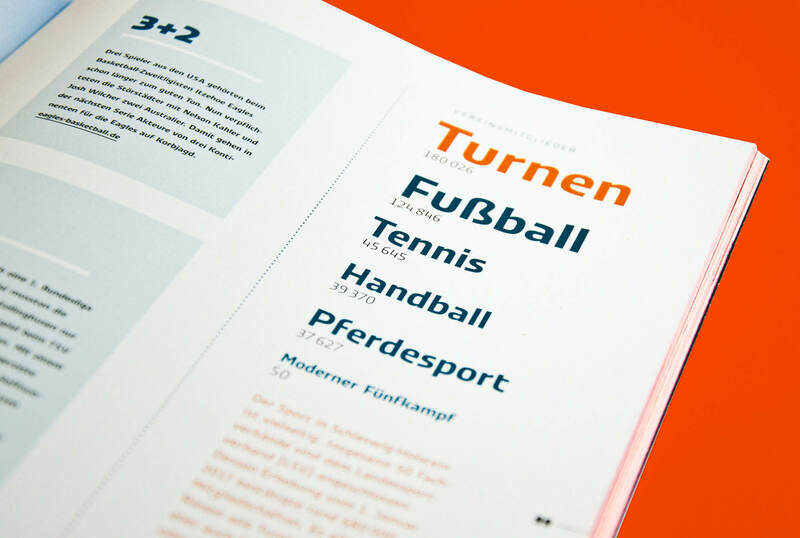 Hand-crafted by Hamburg-based Max Kostopoulos, Cera Brush is having the chance to show its high-res details and intermixing alternate characters.